Jules' Got Style - Boutique Girls Clothing Blog: Pin It To Win It Easter Giveaway! Win Girls Easter Dresses 2015! Can you believe it, Easter is almost here! This year, Easter comes early - on April 5, it will creep up on you before you know it. To kick off Easter shopping My Little Jules boutique is hosting our second annual Pin It To Win It Easter Giveaway! Follow these simple steps to enter for your chance to win one of the cute Easter dresses 2015 we carry in our boutique. 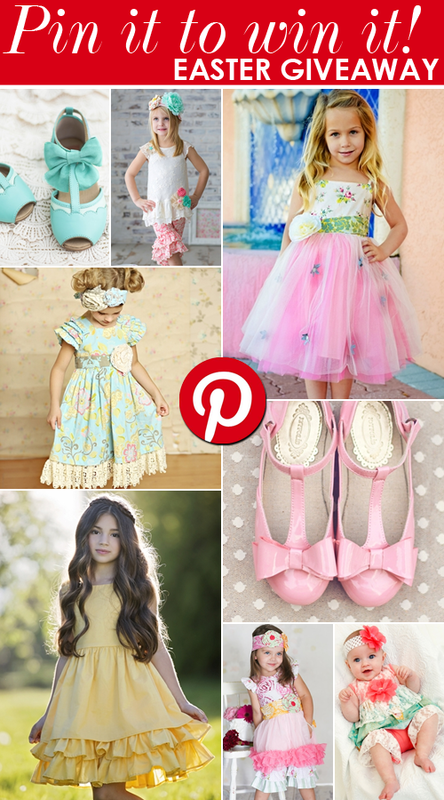 Pin up to 5 cute outfits and put "Easter dress for girls from My Little Jules" or "Kids Easter dress from My Little Jules" in the image description EXACTLY. Come back to this blog post and comment with links to your Pins. One link per comment, please (so if you pin 5 outfits, you need to leave 5 comments). On Wednesday, March 25, we will announce the winner of our Pin It To Win It Easter Giveaway on Jules' Got Style blog & My Little Jules Facebook! The winner will receive a 2-piece Easter girl outfit of their choice. The outfits can include top and bottom, dress and bottom or dress and hair accessory from our Easter Dresses for Girls section. Open to US and Canada residents only. Easter delivery for Canada residents is not guaranteed. Must be 18 years or older to participate. No purchase necessary. AND THE WINNER IS... DRUM ROLL, PLEASE... Lois Pittman... YAY!!! Congratulations, Lois! 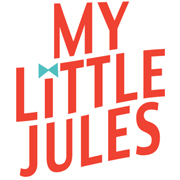 Please email us at customercare@mylittlejules.com with the outfit you want, your girl's size and your shipping address. Please put "Pin It to Win It winner" in the subject line. Thank you, everyone for participating! Lemon Loves Lime is sooo soft!